At the end of the day you will have an amazing collection of artefacts the children have made, to create your own Egyptian museum. Fee: £279 for a whole day. Maximum 32 children per class. 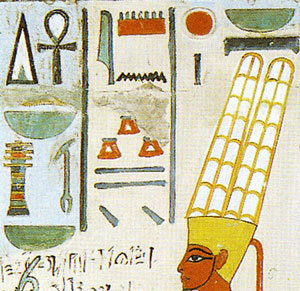 Background information: The Gods Pharaohs Hieroglyphs Artefacts Clothing, Make-up etc. There is nowhere on earth like Egypt. For thousands of years tourists have been astounded by its beautiful temples and tombs, its vast pyramids and its golden treasures. 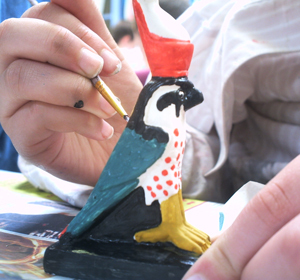 This workshop focuses on what the ancient Egyptians cherished most - their pharaohs and their gods. Most of the amazing sights in Egypt are in some way related to these two. Pyramids were giant rock tombs designed to send the pharaoh up to heaven, and temples were sites of worship for gods, adorned with hieroglyphs proclaiming the greatness of the god and of the pharaoh who built his house. 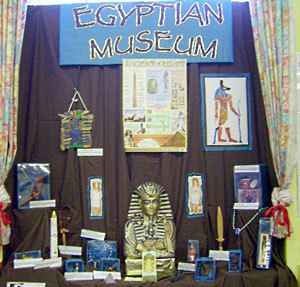 My Egyptian workshop has been very popular for the last 12 years, for several reasons: the enthusiasm and depth of knowledge which I bring to the day, the in-depth tuition on the intricacies of hieroglyphs, art and other aspects of Egyptian culture, the high quality resources and creative activities which children love, and which provide a rich learning experience about ancient Egypt as well as teaching art skills, and the fantastic outcomes which you can display in the classroom. Detailed lesson plans are provided on this page. Literacy link: for an excellent retelling of Egyptian myths and stories, see Stories from Ancient Egypt by well-known Egyptologist Joyce Tyldesley. 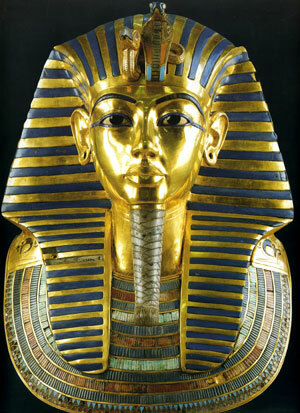 Learn about famous pharaohs by looking at photos. 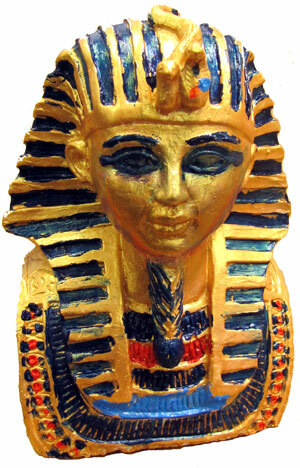 We begin with Tutankhamun - his treasures, his tomb, his body, and why he is famous. 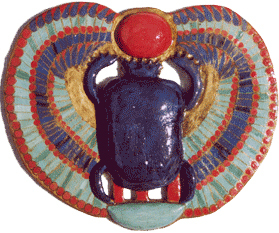 Children will see the actual stones used by the Egyptians for jewellery (e.g. lapis lazuli, carnelian, turquoise). Depending on time, we also look at Khufu and the pyramids, Hatshepsut the female pharaoh, and Rameses II. Children can win papyrus bookmarks for answering quiz questions (e.g. 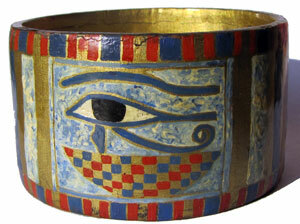 what are these artefacts found in Tutankhamun's tomb, why is he famous, why were the pyramids built). 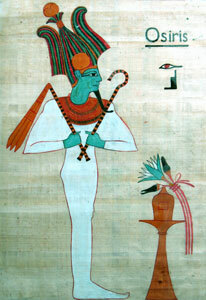 Gods: look at paintings of 8 gods (Anubis, Osiris, Isis, Horus, Hathor, Thoth, Ra, Amun). Learn their names, what they look like, and what they were god of: e.g. Osiris is shown wrapped up as a mummy because he was the ruler of the afterlife, and holding a crook and flail because he was god of farming. Next we play a name the god game, looking at 20 photos of gods (paintings or statues) on the interactive whiteboard. Each child takes part using a whiteboard and pen. The children with the highest score get a prize - either a poster or a bookmark. 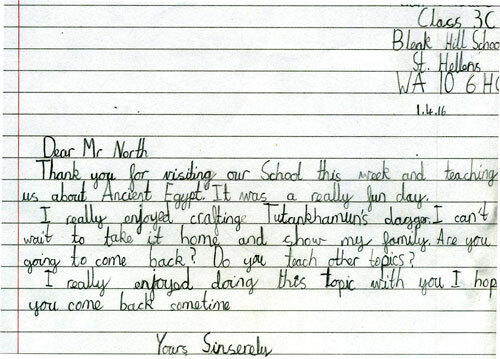 Children learn about hieroglyphs, by writing them on a worksheet (see below) and on a piece of real papyrus. They also play reading games, with more papyrus bookmarks for prizes. 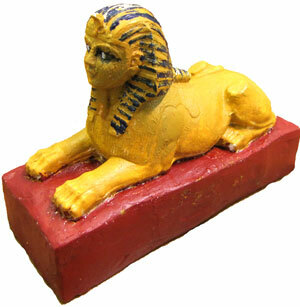 Depending on your preference, we can focus on hieroglyphs related to pharaohs or to gods. Letters - 22 letter hieroglyphs are copied. Children learn that they stand for sounds, which affects how they should write their own names. 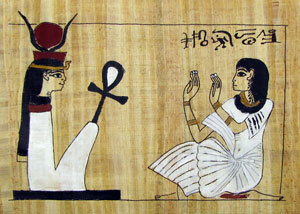 A game follows in which children read the name of pharaohs (Khufu and Cleopatra) spelled in letters. They will then learn how to write their own names in hieroglyphs. Gods' names - children copy the names of 8 gods. 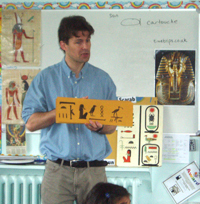 A game follows in which photos of hieroglyphs (from tomb or temple walls) are shown on the whiteboard and children have to spot them, with more papyrus bookmark prizes. Pharaohs' names (if time allows) - learn how to read pharaohs' names (cartouches), which are usually made up of a god's name, words, and letters. For example, Tutankhamun contains the letters T-u-t, the word ankh, and the god Amun, and it means 'the living image of Amun'. A game follows in which children try to read a pharaoh's name (e.g. Rameses). 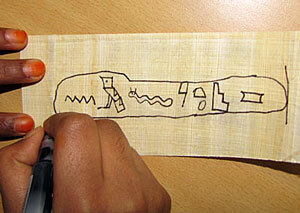 Write on papyrus - children get a piece of real papyrus paper (6x15cm) and write any hieroglyphs they like (e.g. a pharaoh's name, god's name, their own name). They use a black ink pen, because the Egyptian used black ink. If you book a workshop I will email a letter to let you know what resources we need (basic things like paint palettes, pots for water, table covers, painting shirts, and paper towels). 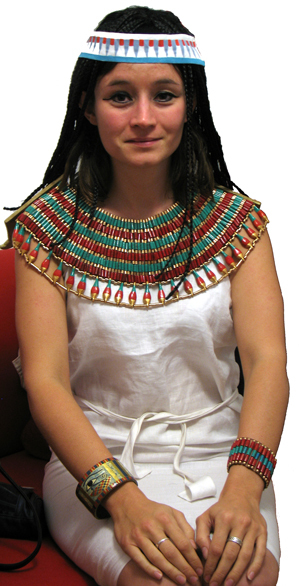 One boy and one girl will be chosen to dress up as Egyptians, with linen clothes (a dress for the girl and a kilt for the boy), plaited wigs, jewellery (bracelets and necklaces, including a replica of a princess's collar with over 1,000 beads), eyeliner, and lipstick and blush for the girl. A permission slip will be provided for children to wear the make up. The children can also try frankincense perfume (unless they have skin allergies or a nut allergy). Lunch Break - Over lunch I will set out materials to make the artefacts in the afternoon. I will send you a form when you book the workshop to write down which children make which artefact. I will need two children to help me set things out. 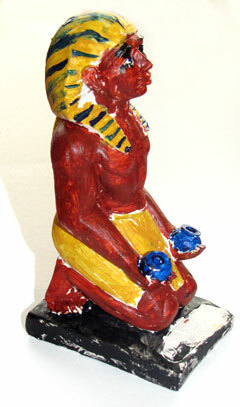 Children see a variety of artefacts relating to pharaohs, gods and the afterlife. The artefacts are copies, most of which I made myself. You can see photos of them on this page and here. This activity teaches children about the items and their meanings, and will inspire them to create their own works of art. 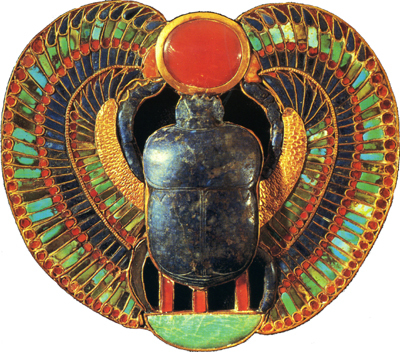 Artefacts include: statuettes (gods, a pharaoh, sphinx, scarab beetle, shabti, Tut's coffin, Tut's mask), Tut's scarab pectoral, a pharaoh's bracelet (see below), Tut's dagger, a papyrus painting (the weighing of the heart scene), a relief of a pharaoh and Ra, and an obelisk. I will give a short lesson on how to paint accurately with acrylic paint (e.g. dry brush after washing it, correct mistakes, keep hand steady by resting it on the table, only touch with the tip of the brush). Then children will make an artefact. These will be similar to the ones I have shown them. Each child has his or her own artefact. There will be up to 14 different artefacts in all, which means you can make a very impressive museum display. The methods and materials have been carefully designed so that children can make artefacts of high quality and durability. They are also differentiated by difficulty level so you can assign a suitable task to each child. Photos of the artefacts are shown here. 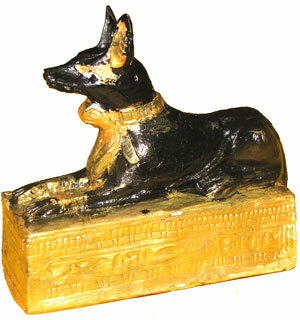 Artefacts include: statuettes of Horus, Anubis, a pharaoh (see below), sphinx, scarab beetle, shabti, Tut's coffin, and Tut's mask; relief of Ra and a pharaoh; a pharaoh's bracelet; papyrus paintings (draw round templates then paint); Tut's gold dagger; an obelisk; and Tut's gold shrine (using gold foil - y4-6 only). The children loved both the workshops and it was a wonderful way to start our topic off. Hi Tony, my son Harry attended one of your workshops yesterday at Crompton Primary School and thoroughly enjoyed it, in fact he has talked about very little since! 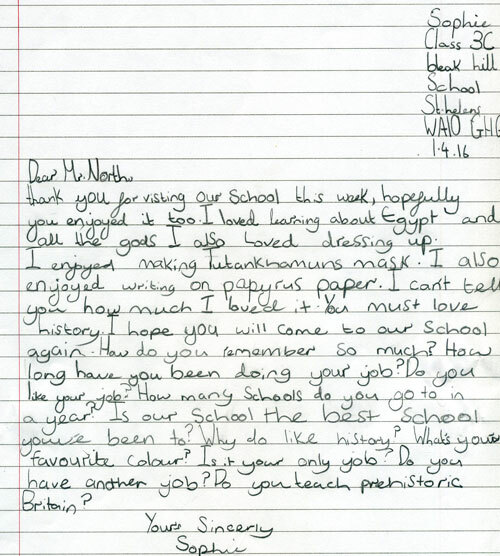 So thank you for inspiring him even more in a subject that he has shown so much enthusiasm for already. We thoroughly enjoyed the Egyptian Workshop yesterday. It allowed those less academic children to shine and excel and express them selves through creative art. The work the children produced was to a very high standard and all children made something and were involved. I have shown the History leader our work and she was very impressed. What a wonderful day! The children all loved learning about Egyptian Fashions. All the children loved it, had so much fun, and learnt so much. Many thanks for a great couple of days. The boys and staff got a huge amount out of it. It has really fired our imaginations. It was super to be able to mix the factual learning with an art activity. The boys were on task and really focussed during these sessions. Thank you. Many thanks again for a superb few days. 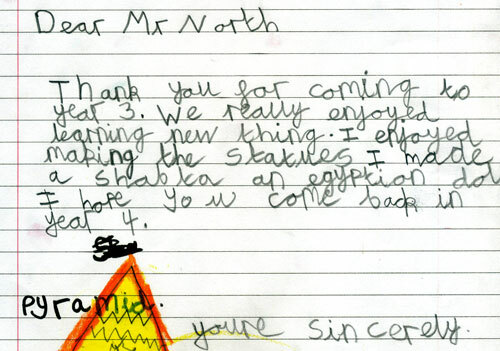 Just a quick email to say 'Thank You' for your visit last week. The children thoroughly enjoyed it and still talk about it now. It really brought the topic to life and inspired them to carry out their own research. The children had a great day and learnt a lot. We are hoping to use some of the information in our class assembly in a few weeks time. Once again thank you for a very interesting and enjoyable day. Thank you so much for a fantastic day! All of the class loved it and I did too. Your knowledge of Ancient Egypt is amazing! My nephew is over the moon with your book. The workshop was amazing the children even now cannot stop talking about it. 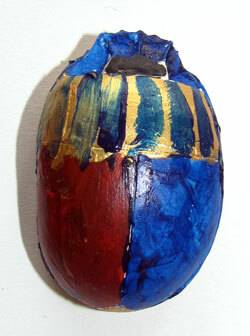 What I personally liked is the way that you brought to life the Egyptians with your artefacts, paintings and writing. The children liked the hieroglyphic writing, and display which we put together in the hall for all to see is still there and children still look and talk about it. It was one perfect day, I myself learned so much and I thank you for that. Very practical, hands on. A fantastic learning experience. All the children and myself found the whole workshop worthwhile and a super learning experience. Excellent, plenty of variety to interest and stimulate the children. An excellent day. The children particularly enjoyed the practical activities. I liked the variety of activities and the fact that some challenged the children....it has inspired the children when making their own artefacts using clay. A great way to introduce the Egyptians. Excellent practical activities that challenged the children. The artefacts made create a great classroom display. I thought it was excellent. 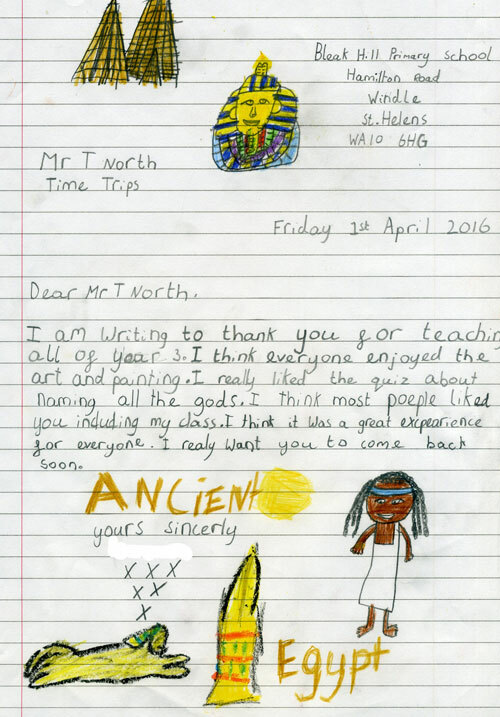 I enjoyed and the children enjoyed the hieroglyphs and the practical work in the afternoon. A thoroughly enjoyable experience. The children have not stopped talking about yesterday yet! Thank you for the great day, they got so much out of everything! 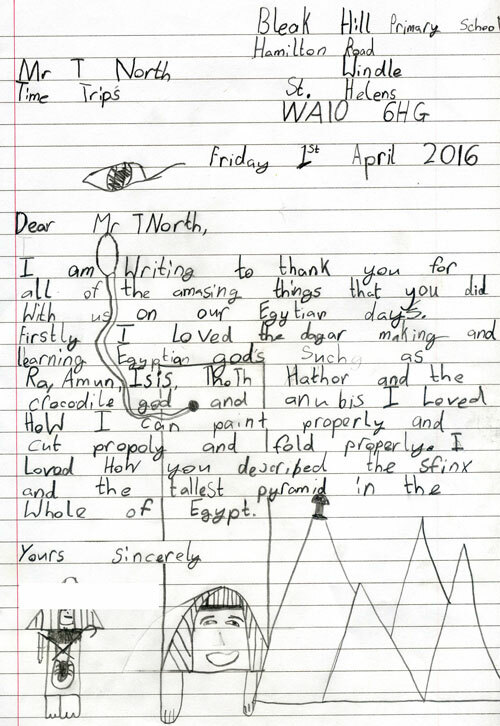 Thank you for a really good Ancient Egypt day last week, the children thoroughly enjoyed themselves! Just to say a big 'thank you' for coming to Hopwood CP School. 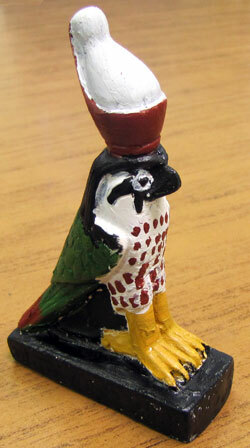 The children all thoroughly enjoyed your Egyptian Workshop, as did the teachers! We look forward to seeing you again. Once they've had a Time Trips workshop, they'll keep coming back!